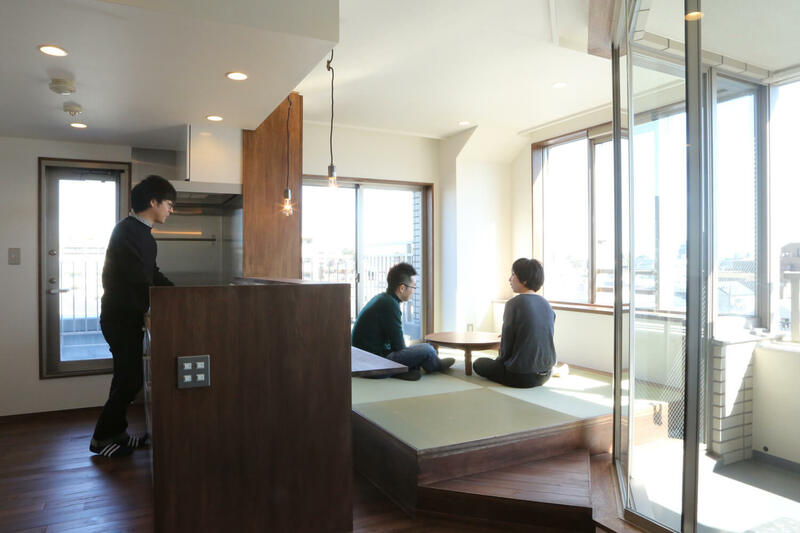 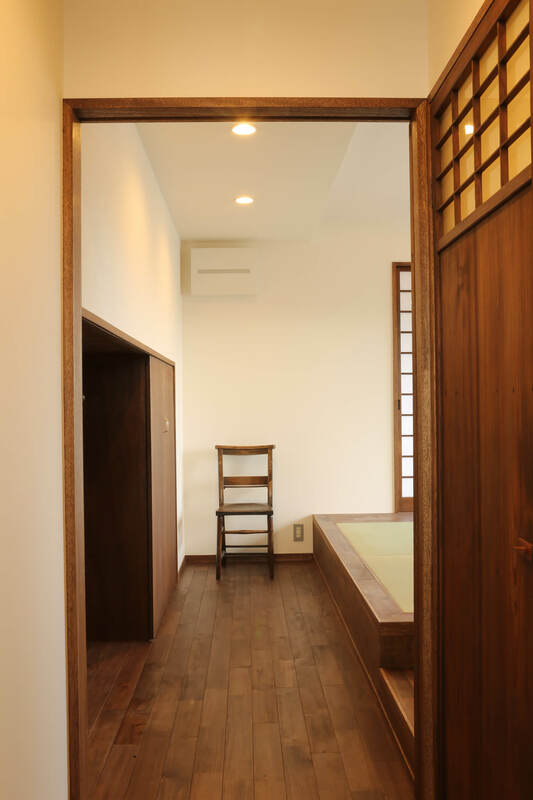 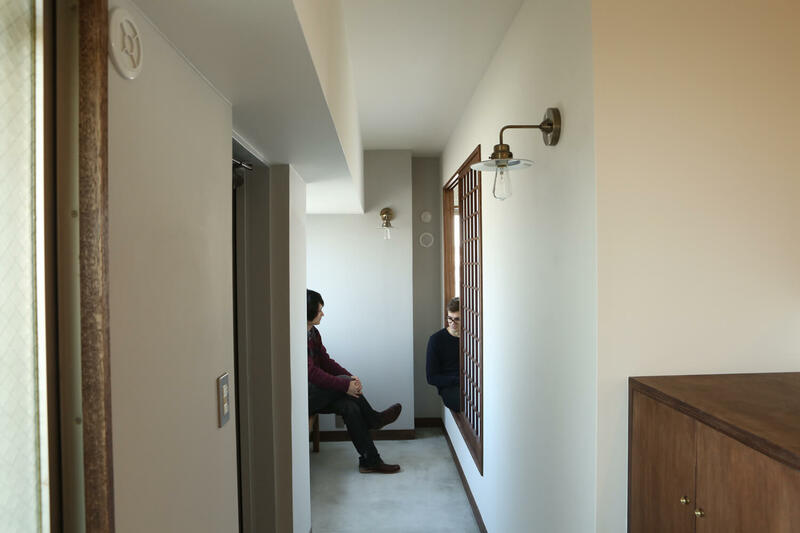 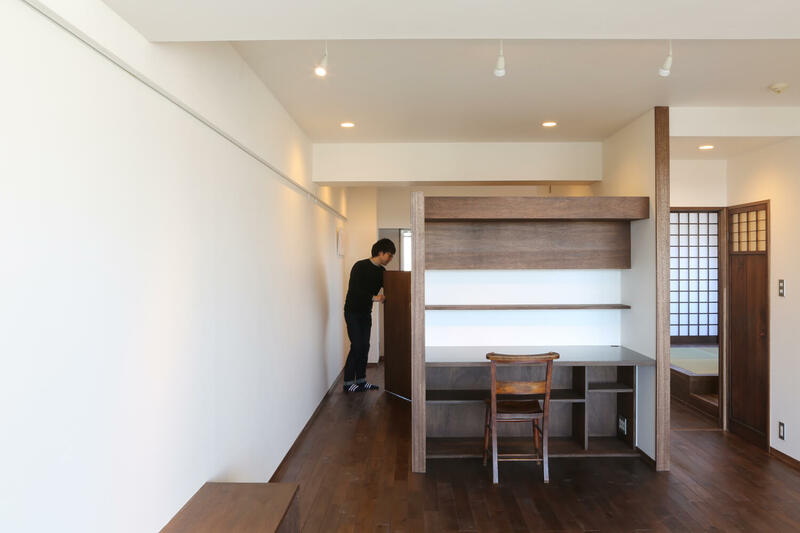 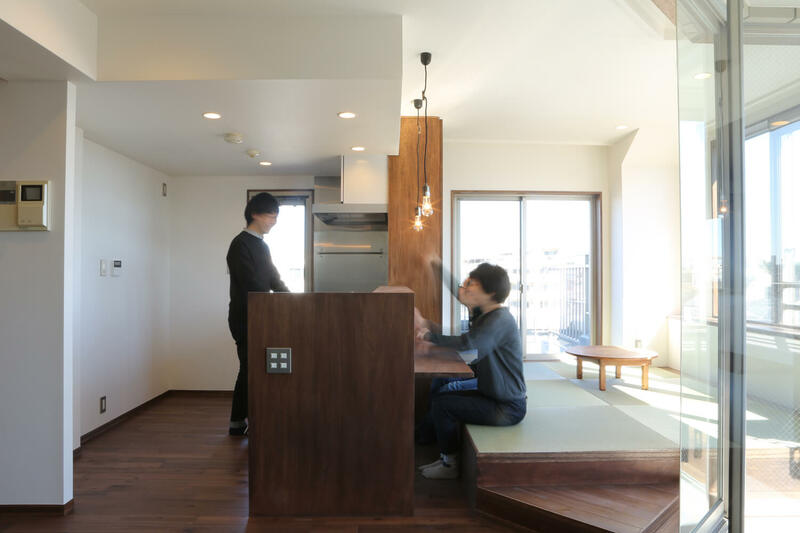 A renovation of 16 years old flat for a couple in their 30s. 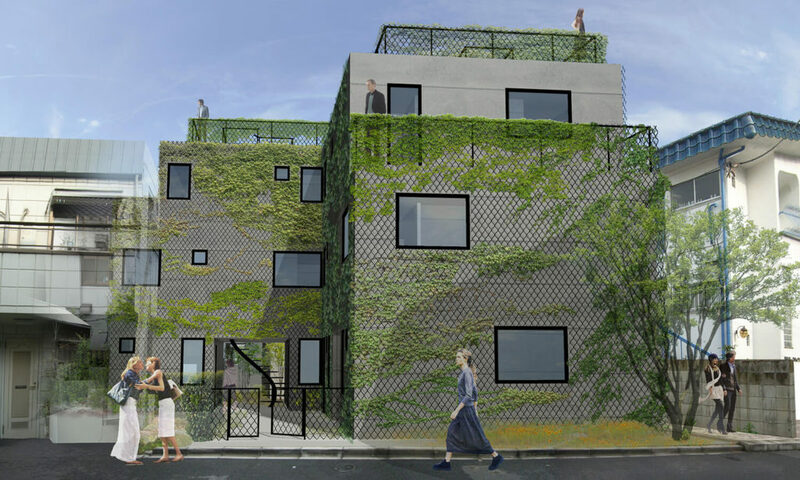 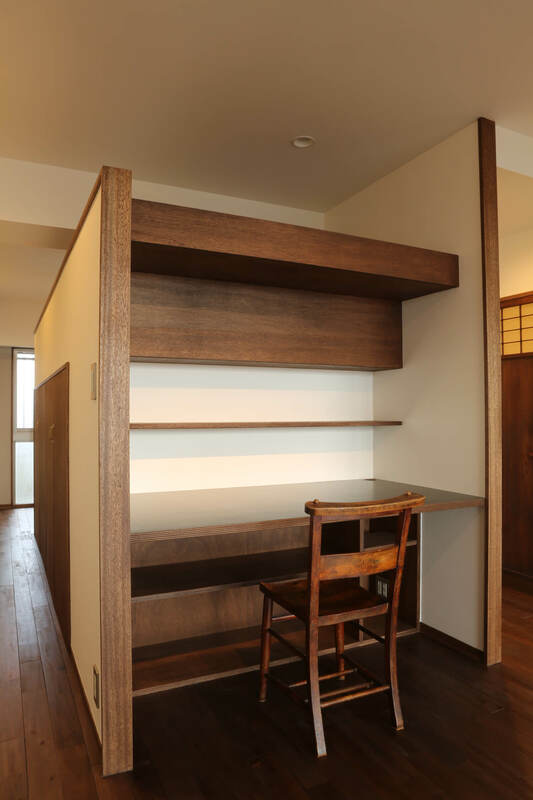 The plan is re-organized from a typical 3LDK to a spacious 1LDK. 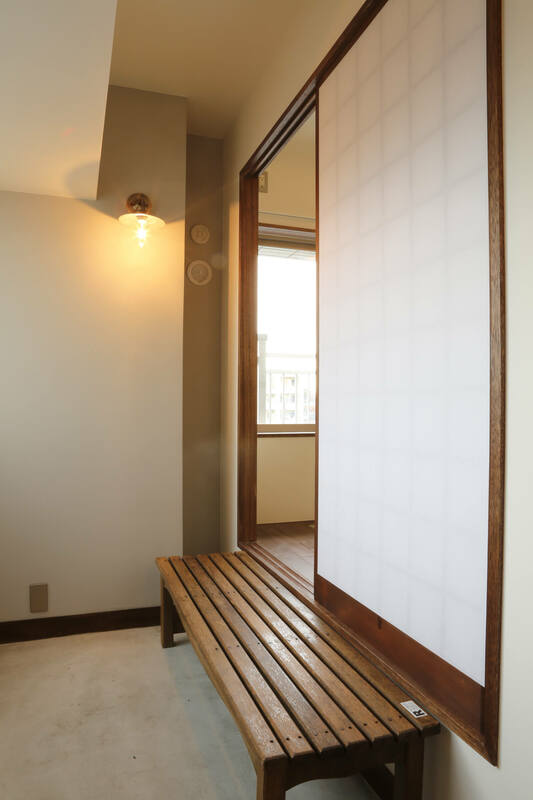 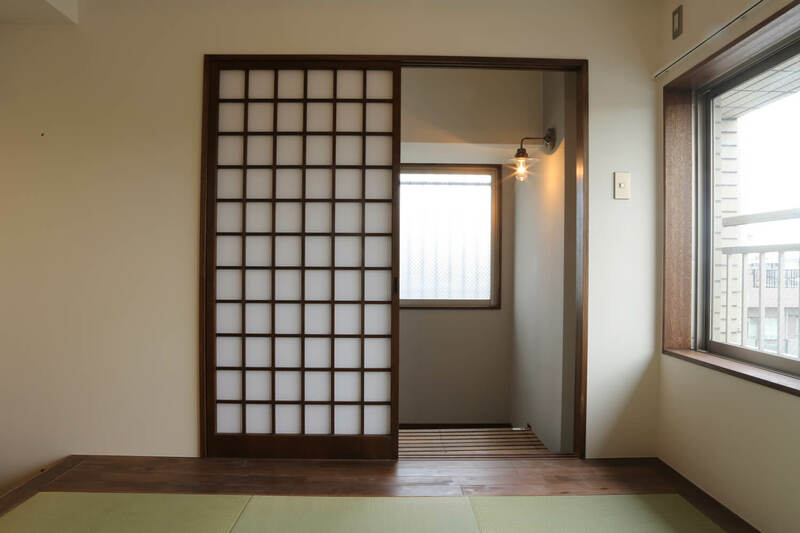 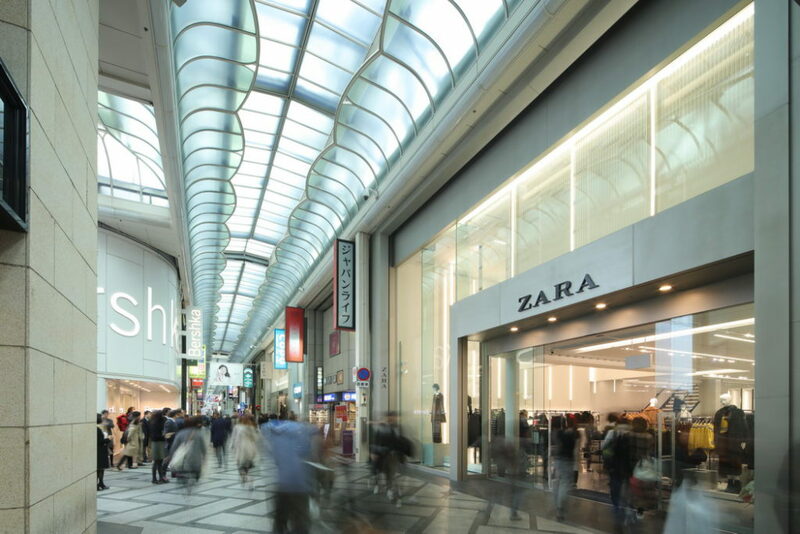 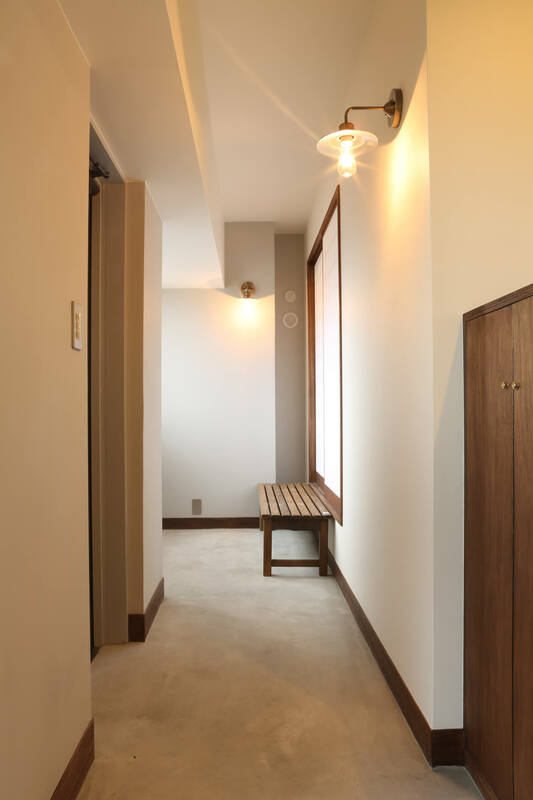 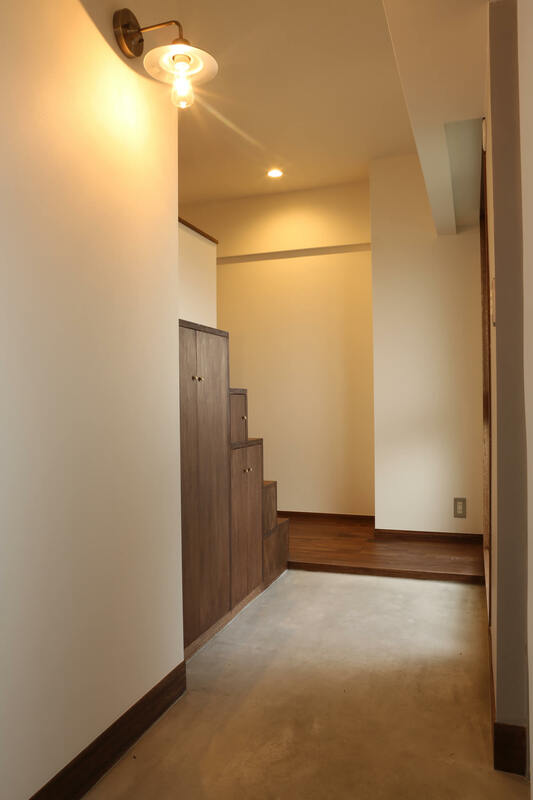 The entrance is spread through the whole width of the flat making it more open. 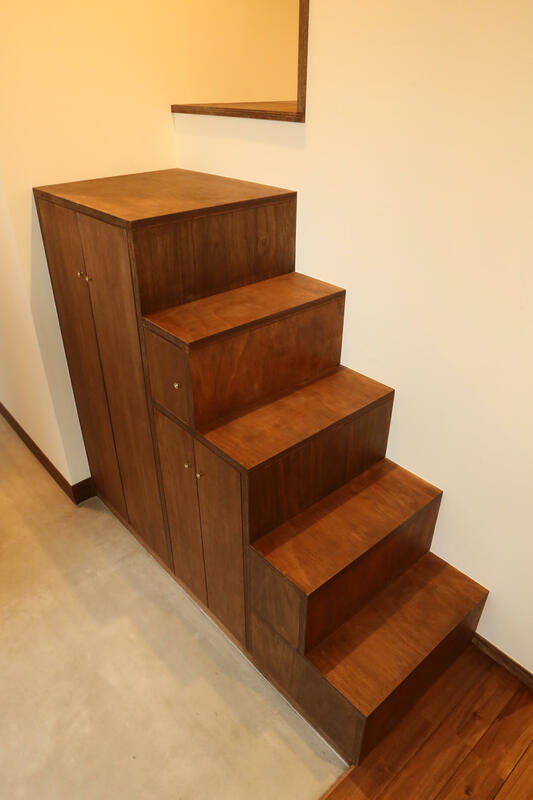 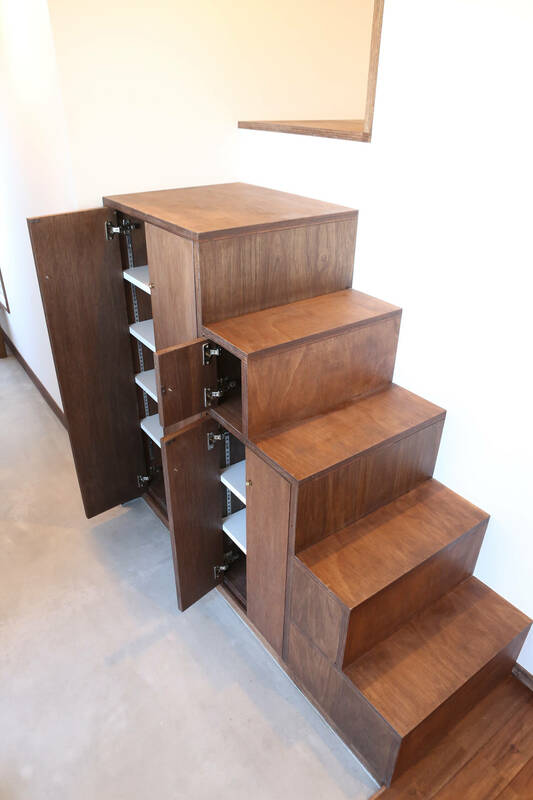 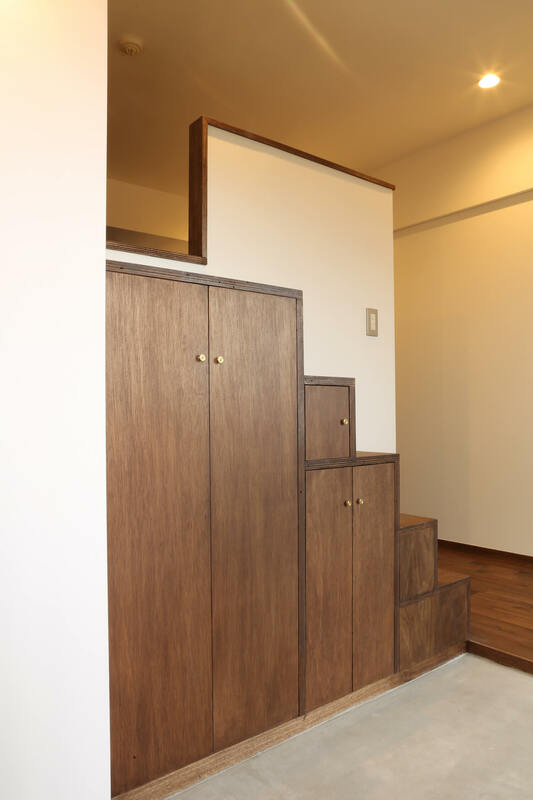 A loft space accessible from the stairs, which also work as a shoe rack, is designed for the future family members. 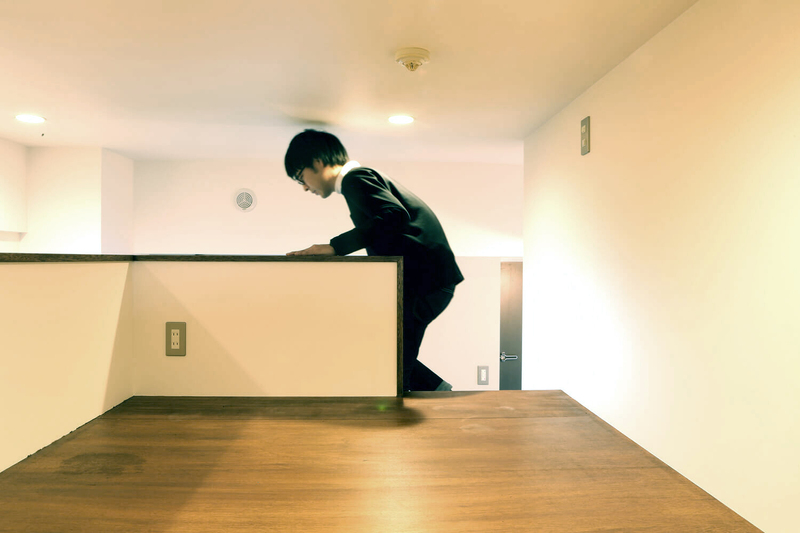 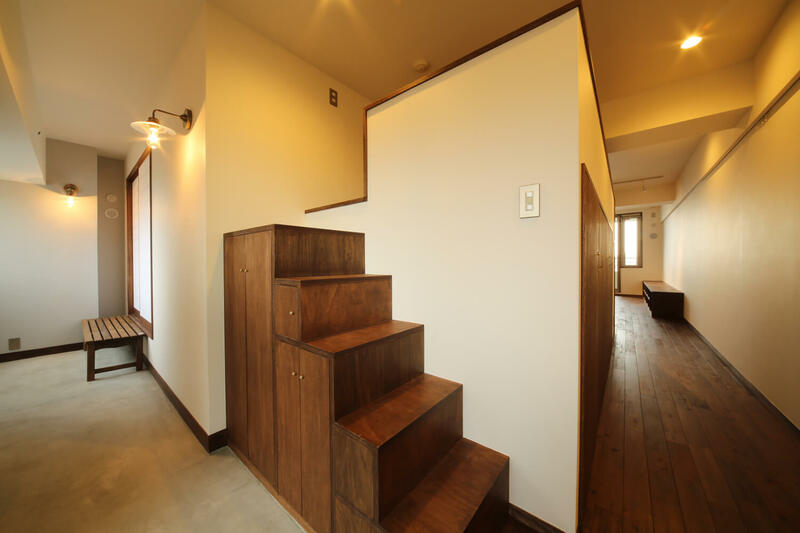 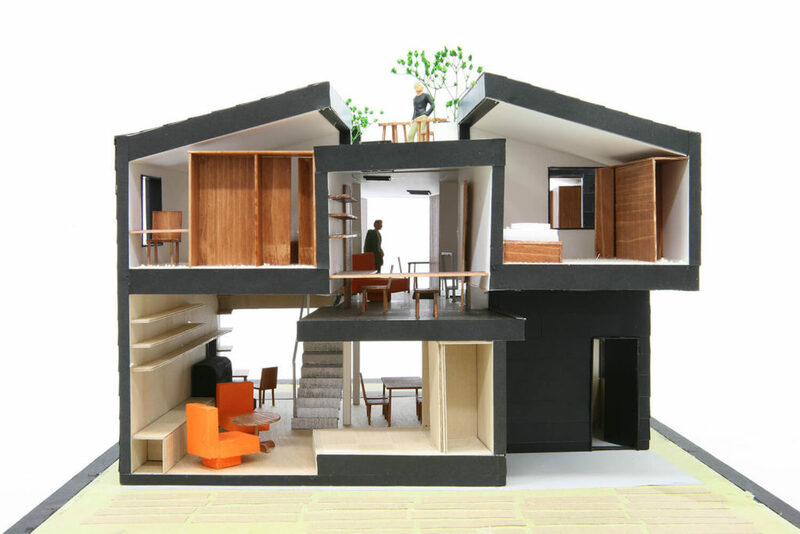 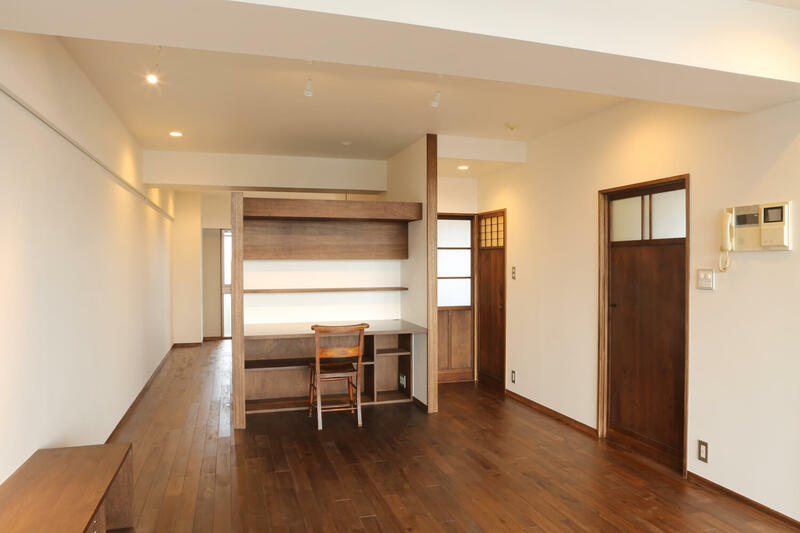 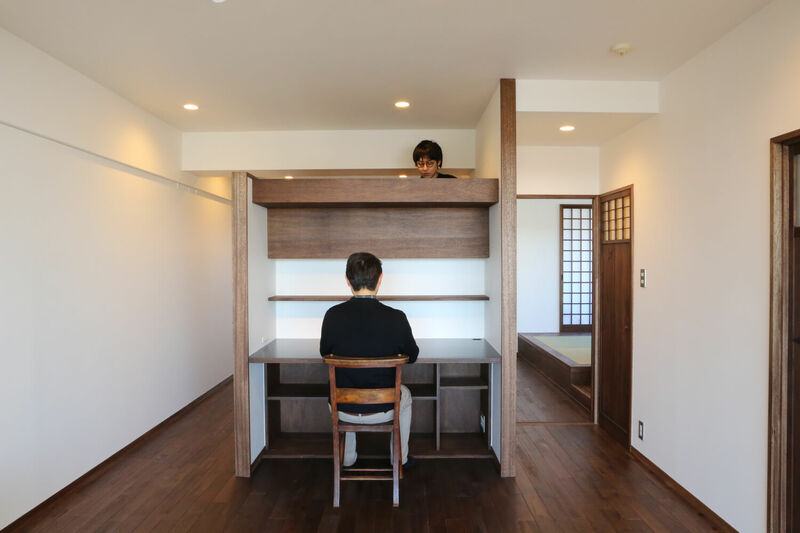 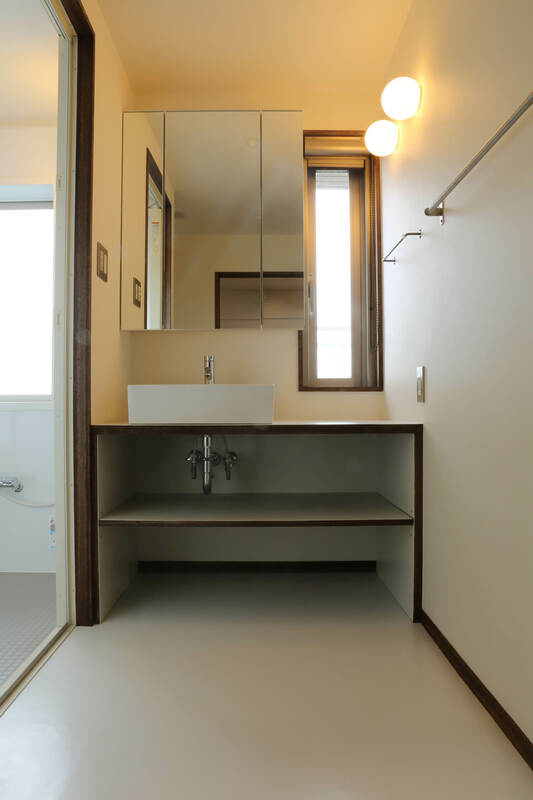 Also, the loft contains two storage spaces underneath, accessible from the bed room and the corridor, and the PC space with bookshelf on the living room side. 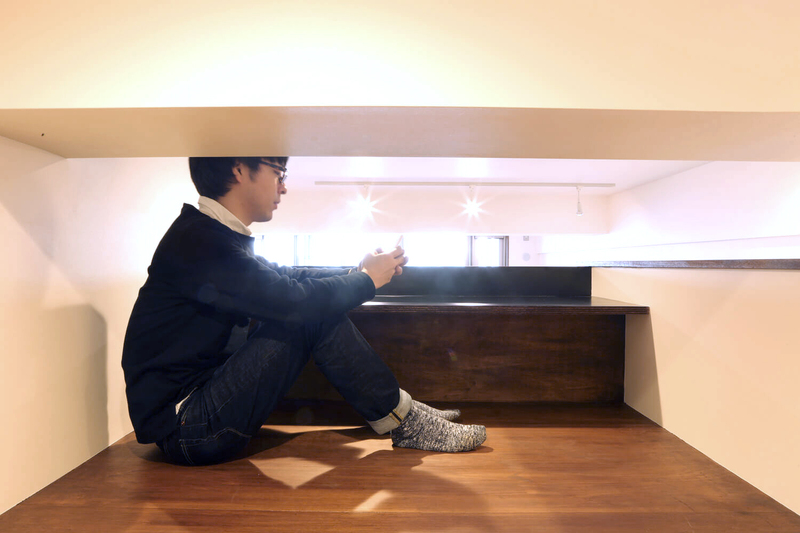 The small dining area at the size of 5.7m2 is now raised above, providing a counter with a sitting space. 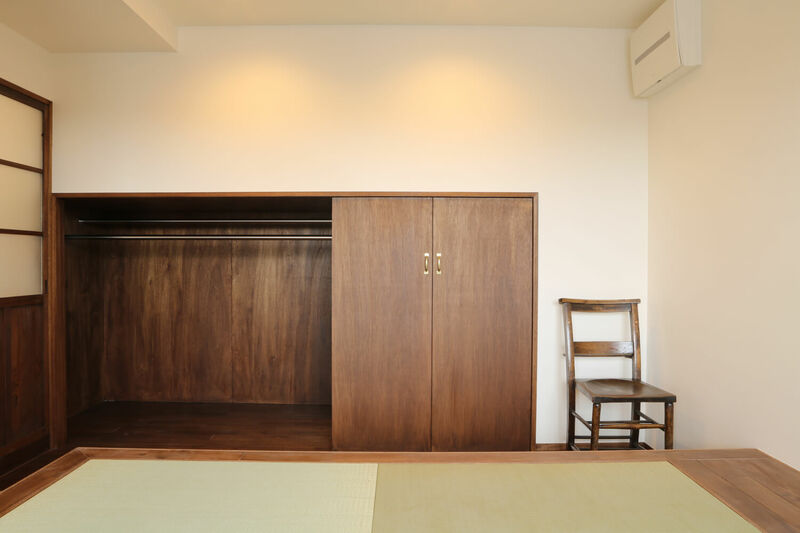 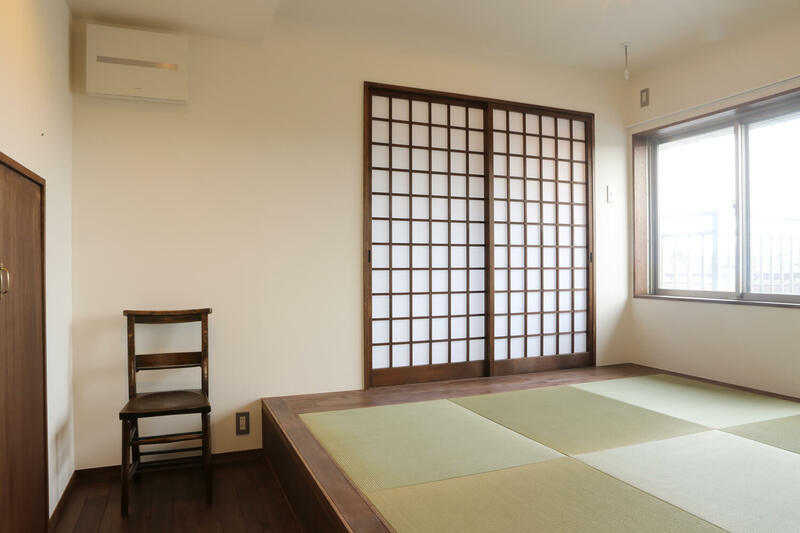 The bedroom also has a raised floor with a sliding door which connects with the entrance and creates a relaxation space before bedtime. 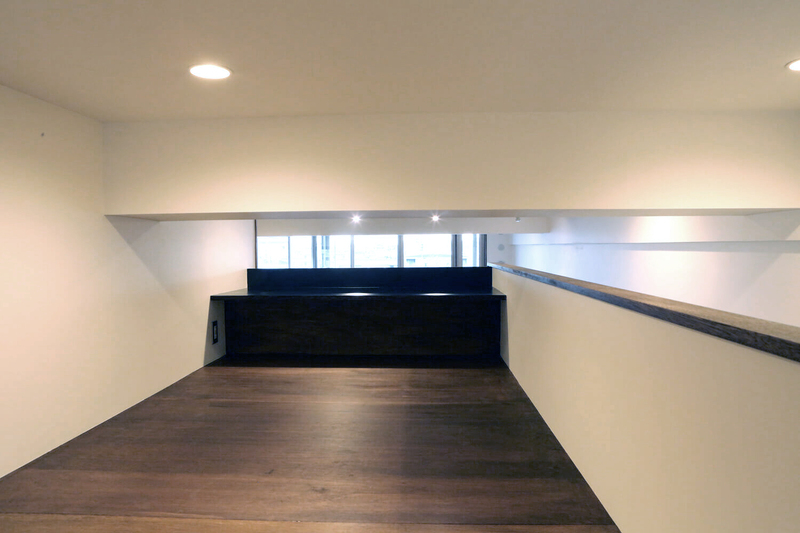 These spaces are composed around the loft box in a loop circulation, allowing the inhabitants to grasp each other’s existence and also provide privacy.